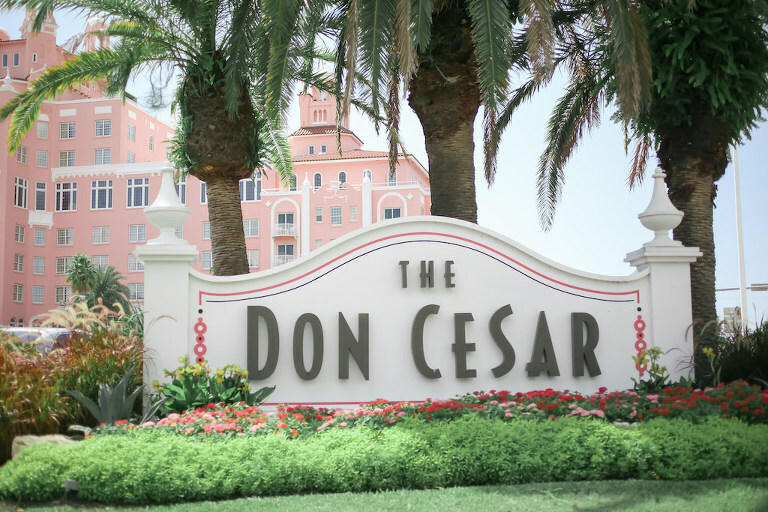 St. Pete Beach – Palm trees, tropical flowers, sugar-fine sand, and uninterrupted views of the Gulf of Mexico make the iconic Don CeSar Hotel a welcoming destination. Layer in the luxurious accommodations and world-class Spa Oceana and it’s no surprise why many couples choose to get married here and then stay for their honeymoon. With roots to 1928, the landmark hotel is lovingly referred to as the Pink Palace. A palace, indeed, it is well known for its amenities and level of service. And of course the couple—and family and friends—will forever connect the joyous occasion with the world-class setting. 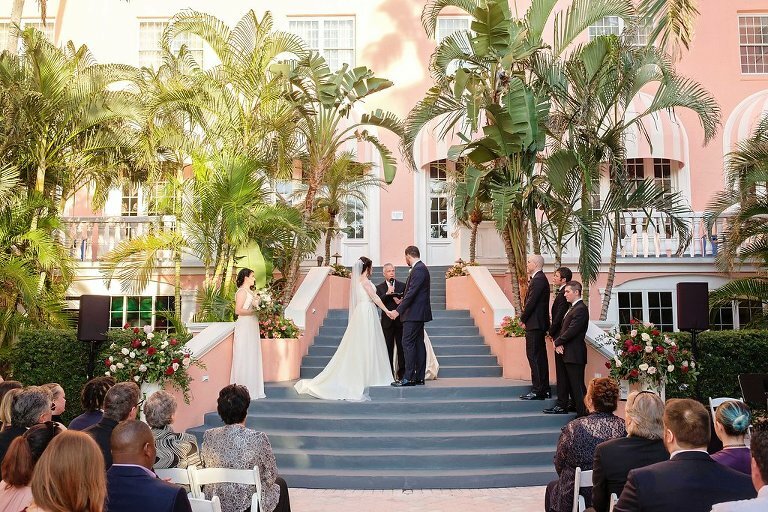 Many couples like to take advantage of multiple entertainment venues throughout the property, including exchanging vows in the courtyard or on the beach, and then making their way to one of the hotel’s many scenic reception locations—indoors or out. The Don CeSar offers outdoor ceremony locations on the beach or in our Courtyard as well as indoors in our elegant, light-filled ballrooms. Our ceremony packages include the Event Space, an indoor weather backup location, White Folding Chairs, a Fruit-Infused Water Station, an Audio Package, and a Day-of Wedding Coordinator. Each of our reception locations has an included cocktail hour space which includes Cocktail Tables, Chairs, and House Linen in White, Black, or Navy as well as any food and beverage set up. Included in reception Food & Beverage Minimum. The Don CeSar has a variety of recently renovoted ballrooms to accomodate a variety of group sizes for the reception. Most wedding receptions are scheduled for 5 hours. End time is Midnight on Friday and Saturday or 11:00 PM Monday through Thursday. Included in the food and beverage minimum for your reception are tables, chairs, house linens in white, black, and navy blue as well as china, flatware, glassware, and all food/beverage service equipment. We also have table numbers and votive candles available upon request. Savings Tip: Consider the months of January, July, August, and September for a reduced food and beverage minimum and special menu offerings. 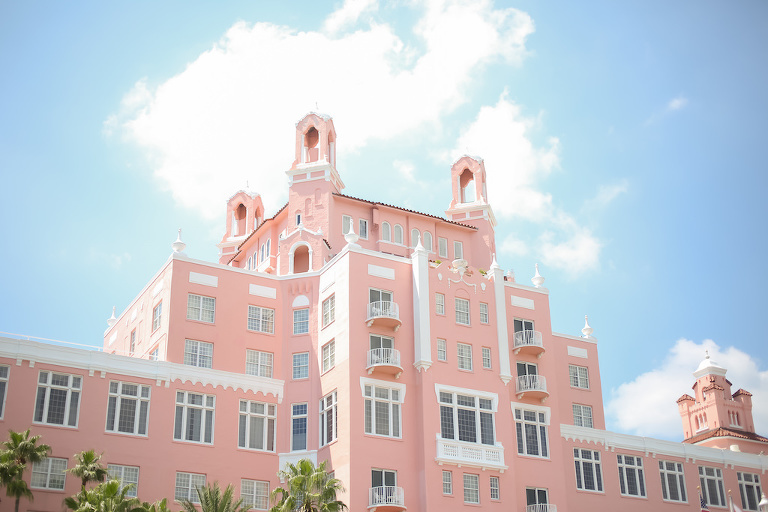 The Don CeSar Hotel, known affectionately as the Pink Palace, offers a storied past, beautiful architecture, striking color, and grandeur. 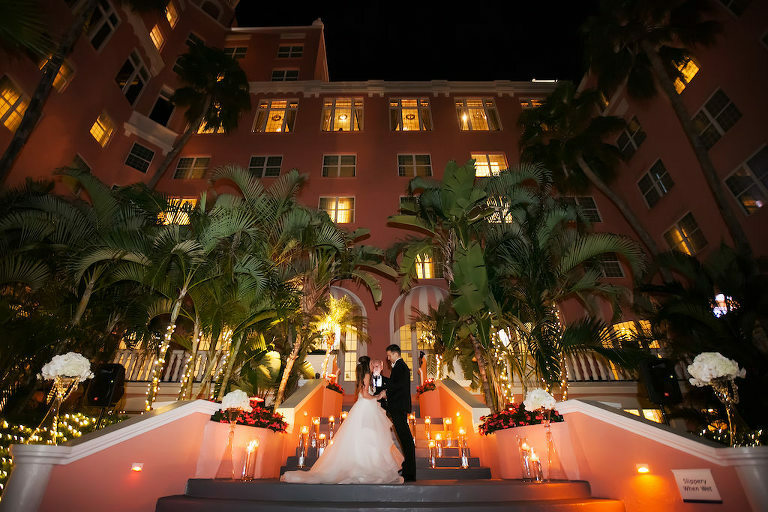 The Don CeSar is an outstanding wedding venue because it exudes a class meets comfort vibe. We offer eight venue options, indoor and outdoor, with sweeping Gulf views. Couples often choose to make their wedding a multi-day event, hosting their rehearsal dinner, wedding ceremony, reception, and farewell brunch all at the hotel. Our beachfront ceremony location is ideal for couples looking to say their vows with toes in the sand and a gorgeous Gulf of Mexico sunset in the background. Additionally, we have a private Wedding Courtyard, giving couples the versatility of being married beachfront, but the Bride will still be able to wear her stilettos!